From Goodreads: "I write YA. I eat Junior Mints. Sometimes I go crazy and do both at the same time. My debut novel, PIVOT POINT, will be published by HarperTeen on February 12, 2013, followed by its sequel in 2014. I also have a contemporary, The Distance Between Us, coming out in the Fall of 2013 with HarperTeen. My agent is the talented and funny Michelle Wolfson." The premise of Pivot Point has been compared to one of my favorite movies of all time, Sliding Doors starring Gwenyth Paltrow. The conceit for both is that for some reason (paranormal powers/head injury), the heroine is able to see two different possible future paths for her life after a crossroads and perhaps make choices to achieve one of those outcomes. But, as in real life, there are no 100% prefect endings for anyone (or the choice would be easy and boring, non?). So, although (in both Sliding Doors and Pivot Point) it sounds like a dream scenario to see the future, it can actually turn into a "pick the less tragic future" situation. Our heroine in Pivot Point, Addie is going through a sadly typical teen life change: her parents are getting divorced and she must choose with whom to live. The typical part of our story ends there because Addie is a Paranormal and her specific ability is to see into the future. After Searching into both possibilities, Addie just might come up with more questions than answers and choosing one path is potentially heartbreaking. 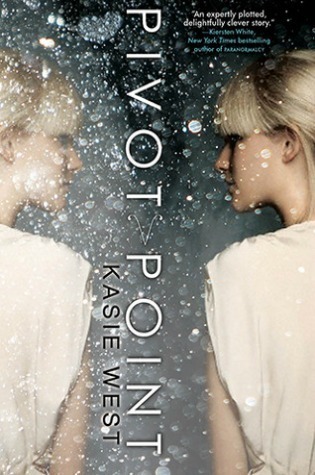 The world Kasie West has built in Pivot Point is such an interesting one: people with paranormal powers have sequestered themselves away from the Norms (me, sadly) and created a life under the radar. The backstory to this entire paranormal business is fascinating. I think her parents are up to more than we or Addie suspect and I'm interested to see where this X-Men-like train is headed. The romance (we get two!) is well played out and I loved the way West had both paths running concurrently parallel (even to the point of people from one path making cameos in the other.) The entire awesomeness of the story is a little tough to explain without spoiling things for you. Just trust me when I say this one is a must read. Pivot Point is unique, compelling, smart and fun. 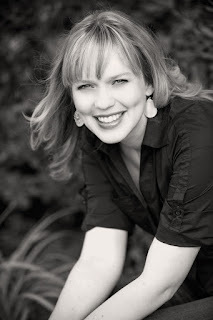 Thanks to Kasie West for creating such an interesting take on paranormal YA. Can't wait for the sequel!